I first came to this town a couple years ago this Spring. 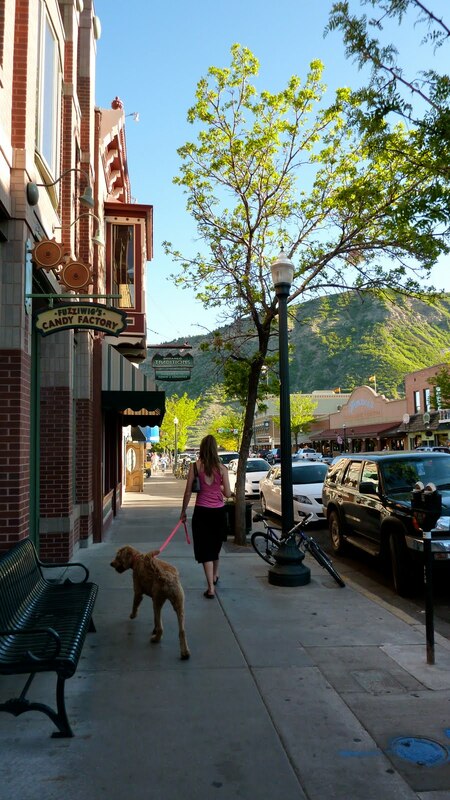 I thought to myself...."look at this town its full of mellow, ultra in-shape, tan dirtbags that spend too much time playing outside"......where do I sign up? Durango has it all....killer rafting and kayaking, incredible singletrack, and good skiing...plus more sunny days than even Bozeman. The downtown is awesome, it has six breweries and only about 14,000 residence. There is no sea of generic housing developments and strip malls anywhere to be seen. A few miles north of town and you have amazing mountains over 14,000ft and just south its all desert. You can ski or bike year round. This might be my new town....seriously....this is heaven. We have been in Durango all week. We got in on Monday (Memorial Day). Its been in the upper 80's lower 90's all week and SUNNY!!! We found some great free camping finally. Our days consist of waking up in the mountains and riding from our camping spot in the morning. We then play in the river all afternoon too beat the heat. Then usually a evening ride followed by cocktails and dinner. The weather couldn't have been more perfect all week. Some must rides include Hermosa Creek, Colorado Trail (Random Loops) off Junction Creek, and everything around town.....Horse Gulch and the Race Tracks. This place has tons of options and we barley scratched the surface of all the biking here....waaay to much for just a week.